All posts tagged tough miles U.S.A. The first 3 weeks of September saw us ride the West Coast of the U.S. and what an outstanding few weeks it was. It was burgers, fries and copious amounts of beer for the duration and and our time in the U.S left us feeling grossly overweight and out of shape for our crossing in to Mexico. The West Coast of the States, a ride I’d dreamed about since I was a child was finally about to happen. After leaving Miikka and his family in Bellingham we headed back to see the Suzuki boys at Suzuki Aurora. It was clear they were well and truly ready to maintain the outstanding support we received during our first stop here and within minutes of our arrival, Darrell and his team pointed us in the direction of the work space they had cleared for us to unload the luggage and strip down the bikes. It felt good to be back. Darrell was all too aware that the U.S customs issues we had whilst shipping the bikes from South Korea meant we were in Seattle for much longer than we had ever anticipated during our first stop here and he was eager to do his best to get us on the road as soon as possible to crack on with the Tough Miles mission. Once the bikes we stripped, the results of a compression check on my bike proved is was a good time to consider a new piston, rings and cylinder before heading in to the depths of Central and South America where spares were likely to be sparse. Mitch the mechanic stepped up to the challenge and in no time had the top end in pieces. This was by no means a small job but the commitment of Darrell and his team was more than we could ever have hoped for. It even saw a couple of the guys in the workshop during a national holiday. What had we done to receive this service? In all honesty, we couldn’t believe the exceptional hospitality. Darrell runs a tight ship in that workshop which evidently returns good results. Jon and I were proud to have him on board as part of this mission. On the 3rd September, day 137 of the trip, we put the new engine components through a few heat cycles to ensure everything was seated as it should be before saying our goodbyes to the guys and finally hitting the 101 southbound and getting the next chapter underway. 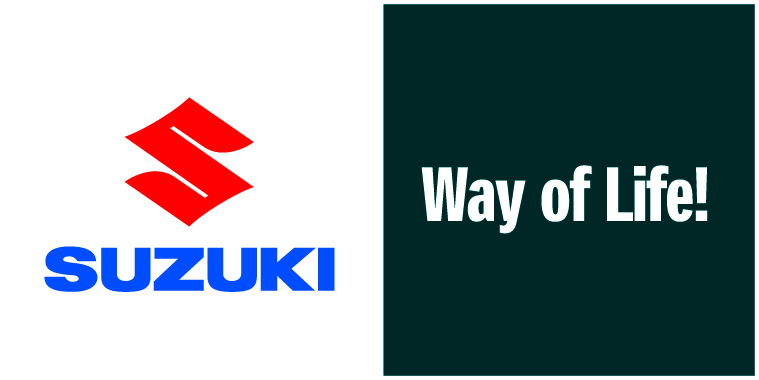 Thanks to the incredible support we have received from Suzuki GB, despite all the work which had taken place over those few days in Seattle plus the standard servicing work during our first stop at Aurora, we were not a single penny lighter. I’ll never be able to express my appreciation for their incredible support on this trip and knowing that Michael, our main contact at the HQ in Milton Keynes is always on the end of a phone line should we require him makes entering rural parts of Latin America so much less of a mental strain. We didn’t at that point know where we would be aiming for that evening but the huge quantity of camp grounds along this coast meant that finding somewhere to sleep was unlikely to ever be a cause for concern. The relatively slow speed limits of the 101 and Highway 1 would offer an ideal ride to run the bike in after the recent engine work and make sure that everything felt as expected. The bike felt brand new. Before arriving here, my dreams of riding the West coast of the States involved countless surf towns, girls in bikinis, late night beach parties and some of the best motorcycling roads the world had to offer. Well, for the first few days of this ride, excluding the great motorcycling roads part, I couldn’t have been any further from the truth. The weather during our ride through Washington and the northern parts of Oregan made it feel more like a ride to Bognor Regis. Despite passing though some nice towns and villages, we found ourselves riding through thick patches of coastal mist and fog more often than not. The waterproofs hadn’t seen this much action in a long time. The mist started to clear just in time for an awesome sunset on Cape Devastation where we decided to call it a night. The next couple of days saw us pitch up next to an eerie feeling misty lake in Florence before crossing the State border of California and camping in Del Norte set in the awesome Red Wood National park. Despite neither of us being huge wine fans, it seemed inappropriate to spend our first night in a Californian camp without a couple of bottles of locally produced red. We’re not overly familiar with our way around a supermarket’s wine department so the bottle on the left got the job simply because it had a motorcycle on the front. Any wine connoisseurs out there take note; the tinned vegetable noodles really emphasises the deep flavors of the red and drinking from the shared Tough Miles plastic mug can really heighten the experience. Day 140 for me was hands down, one of the most memorable riding experiences of the trip to date. The first hour or so had us riding through the mammoth Red Wood trees of the national park before we reached the town of Eureeka where the change in weather was so dramatic we pulled over to loose all the riding gear and take it down to a t-shirt. It was starting to feel more like the California I’d previously imagined. Two other riders pulled over on immaculate looking sports bikes, one was riding CBR Fireblade with the full Repsol colours, the other on an R6. These boys were clearly not there to mess around. They advised that we dropped off the 101 to join Highway 1 just 10 miles or so later. This was easily the best riding tip we had received to date and we continued to spend the next couple of hours rolling the DRz’s round what felt like hundreds of twists and turns the road has to offer. The road began by taking us through a dense green forest where, between gaps in the trees to the west we could see the Californian coast line unfolding. Once clearing the forest section it brought us out directly on to the coast itself where the views of the ocean and the road ahead is sufficient to bring an immediate smile to any motorcycle enthusiasts face. In the corner of my eye I could see Brookbanks cracking up. He knew as well as I did that it would be difficult to talk my way out of this one. The hang over smacked me round the face and the guilt for promising something that clearly wasn’t possible that day was a heavy hit. It was a relief when she accepted my apology gracefully and agreed to meet on our arrival in L.A. a few days later. Next stop, Los Angeles for a visit to the American Suzuki H.Q. after riding the dirt trails of Big Sur. I have no complaints right now.